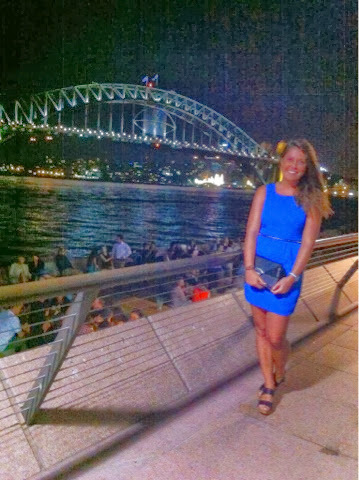 If there's one classy thing I highly recommend you do while visiting Sydney, go for drinks at The Opera Bar. The atmosphere is great, you get a cracking view of the harbour and it's pretty impressive. We played dress up (I even brushed my hair for the occasion!) 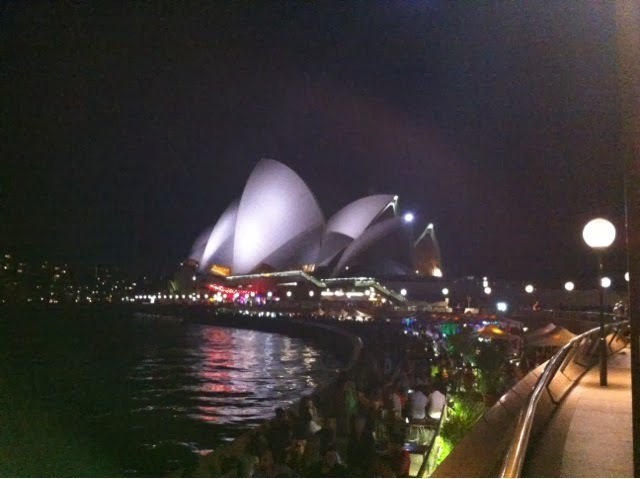 and we made out way down to the Opera House. With it being Australian summer time, there's always so much going on here. 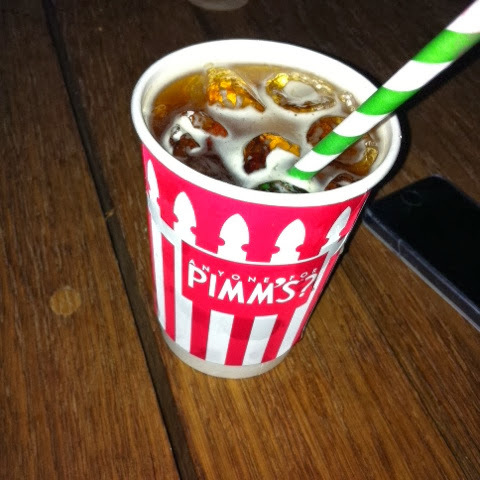 At the moment, the Opera House has a pop up bar which gives off a festival kinda vibe - pimms and cocktail bars (also serving your wines, spirits etc) which is definitely worth a visit.